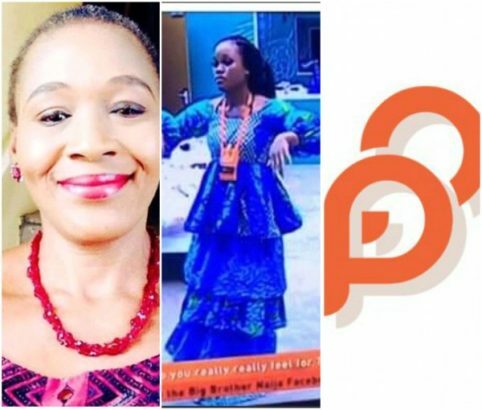 Nigerian controversial journalist, Kemi Olunloyo has weighed on the controversy sparked by Big Brother Naija housemate, Cee-C, after cutting a cloth she was given for the reality show’s Saturday night party with a scissors all because she never liked it. #hnnonair #hnnmedia #hnnshowbiz THE CEE-C DRESS @ceec_official #BBNaija In America where I first watched #BigBrother 2001, sponsors do not talk. Viewers still don't pay phone charges to vote till today. Of course we have no landlines left in Nigeria since our leaders looted NITEL, Nigeria's original phone company where we could have been making toll free calls to vote now. 😬 😬 @Payporte should NOT have uttered a word online This is NOT about your brand alone! It is also about the young lady's brand. 📺 📺 This is a REALITY SHOW! This is a REAL UGLY DRESS👗! Keep it REAL! Let CeeC be! @Kemiolunloyo #hnnopinion VIDEO NEXT! #BBNaija In America where I first watched #BigBrother 2001, sponsors do not talk. Viewers still don’t pay phone charges to vote till today. Of course we have no landlines left in Nigeria since our leaders looted NITEL, Nigeria’s original phone company where we could have been making toll free calls to vote now. This is NOT about your brand alone! It is also about the young lady’s brand. This is a REALITY SHOW! This is a REAL UGLY DRESS! Keep it REAL! Let CeeC be!